What type of fruit tree might I have? Fruit trees are divided into two groups, evergreen and deciduous, and most fruit trees are classified as deciduous. Deciduous trees are trees that bloom in the spring and summer and lose all of its leaves in the fall. These trees remain bare during winter months and require the cold temperatures to produce flowers and fruit. Once spring arrives, deciduous trees produce leaves and flowers and will repeat this life cycle again. Deciduous fruit trees can be further divided by the types of seeds found in the fruit that they bear. Almost all deciduous fruit trees require regular pruning in order to maximize the amount of fruit they yield. Apple, quince and pear fruit trees have multiple seeds inside of the fruits they produce, so they are considered pome fruits. Widely grown, most apple and pear varieties require cross-pollination. Some deciduous fruit trees are categorized as stone fruits, meaning they have a pit, which is a large, hard seed in the middle of the fruit. Apricots, peaches, nectarines and plums are deciduous stone fruit trees. 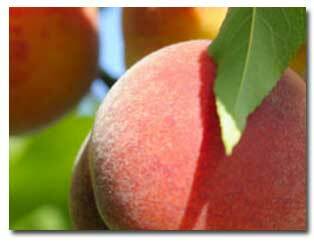 Apricots, peaches and nectarines are self-fertilizing and do not need an outside source for pollination. Plums do require cross-pollination. Overall, stone fruit trees grow large and need adequate space between the trees. Known for its robust growth, fig trees are found in warmer climates. Compared to other deciduous fruit trees, both figs and persimmons do not require as long of periods of cold temperatures to produce flowers and fruit. Neither need regular pruning for fruit production. Moreover, both of these fruit trees usually do not require cross-pollination. There you have it. Now you are an expert on the differences between these amazing fruit trees.